In one of the private schools in Kathmandu, during admission session, the question posed to school admission officer was whether school had computer labs. Parents were inquisitive about how much of technology was embedded into teaching pedagogy. The message was clear: Urban parents wanted their child to get initiated with technology as early as possible in their schooling. In another case, the principal of one of the schools in Makawanpur whom I met weeks before the admission session was in euphoric upbeat mood. The reason was his school had recently set up a proper computer lab for the very first time and as a result he expected 40 to 80 percent increase in new enrollment. The local community members took pride in the fact that now their village school also has computers. Although one can argue about lack of budgetary allocation in education by successive governments, expenditure as a percentage of GDP in education has been 8.9 percent, 8.7 percent, 9.1 percent, 9.3 percent, 9.5 percent and 9.3 percent between 2009 and 2015. The government have had made attempts to bring about progressive changes in education with emphasis on integration of ICT in education. ICT in Education Master Plan (2013-17) bears testimony to this fact. It seems from parents or teachers, students to locals or even the government, everyone is for technology. Researches in several developing countries have shown that when it comes to technology integration in teaching and learning, infrastructures alone do not suffice. Studies have shown that that it does not take more than than three to six months of setting up a computer lab, for these machines to stop functioning. As a result, the number of broken computers with most of the schools is always very high and more than often surpasses the number of functioning computers. And even when computers are functioning, very few are under use. Although there is no hard data to figure out how much of total investment has been made to set up such labs in the public schools, the amount must be staggering. After all, technologies do not come cheap. So what’s the possible solution? Undeniably, it’s the teachers who play a critical role in ensuring that schools end up making use of whatever they have vis-à-vis integrating various ICTs and mainly computers. But why is it not happening? It’s simply lack of knowledge. Many teachers who are currently teaching computer in public schools grew up in an era when computers were virtually non-existent. As a result, they were not even remotely connected with anything to do with computers while they were students. So they find it difficult to connect themselves with computers. These digital immigrants therefore seem to have natural uncanny relationship with these devices for nothing but lack of knowledge. While one can understand the reasons for their natural distancing, what is appalling is the fact that these teachers are often thrown into a pond without training them to swim. I have always been curios with the case of schools in Dhading. 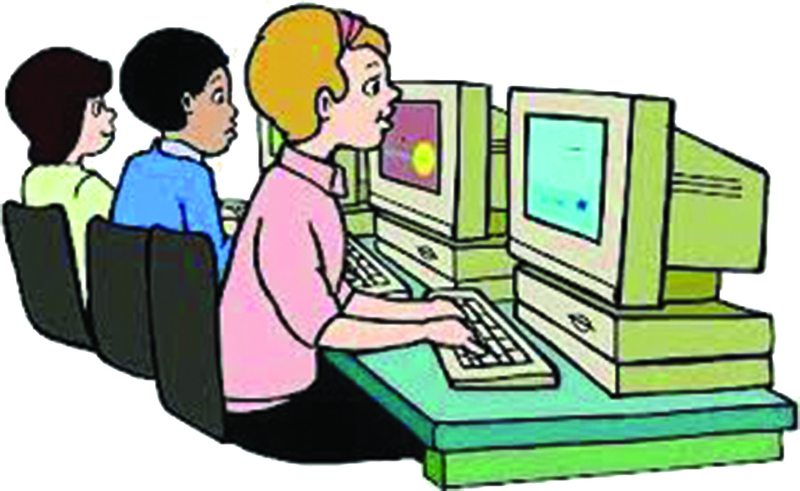 There could be other such districts as well, where the District Education Office made it mandatory for all schools to teach computers in secondary level. But the schools did not have any computers or barely one or two obtained through matching grant scheme. Still they pushed for it. Over the time, either through “grace of donors” or help from the community, the schools did finally manage to get computers, some schools as many as twenty. But it seemed to kick start whole new problem. Untrained teachers, unfamiliar with these new devices in their otherwise dilapidated buildings, seem to know very little as to what to do with them. The training provided, which served as a mere ritual, did not have any learning objectives and outcomes associated with minimum skills needed to teach the subject. Unfortunately, computers predominantly happen to be “English medium” machines. Forget the actual use of any software to perform a task, right from the moment a user boots a computer and opens a specific program; the user has to go through series of clicks on menu items or buttons that are labeled in English. The problem may not necessarily aggravate when one is using regular software without any version upgrades but magnifies many fold when they have to work on a system that sends regular upgrades or work online. A natural anxiety creeps in when confronted with any unfamiliar notification. In a recent training program, while teachers were being taught to use some of the freely available applications provided by Google that would perfectly suit their need, a simple notification that mentioned about new features that Google had added in its applications and whether one would want to explore the option or not threw everyone aback. They simply did not know what to do with the message. Accept the notification and proceed or “discard” the notification and proceed. They simply could not read and draw meaning of the message Google was sending. Therefore teachers, until they have a fairly good command of the language, would shy away from their use. Several researches have shown that teachers do not use technology because they do not have a well-rounded working understanding of the medium. There is this lurking fear of what if something goes wrong, what if I end up pushing the wrong button or in some case what if I just press the wrong key. Computers still remain a complicated device. Teachers can easily navigate through several applications in their cell phones simply because of their design. There are not many choices, say, when it comes to clicking buttons. Computers remain far more complicated. Unlike cell phones, these appear complicated with multiple devices connected in a strange way. There is multiple power chords needed to run a single machine. If it’s networked, one has additional cable sometimes running from one corner of the room to other. A slight unintentional kick or a trip, a random flay of hand that ends up touching any of these cables, you have your entire machine malfunctioning. Although there are several other factors that deter teachers from using computers—lack of adequate time, motivation and incentives to make use of computers, and seven period a day routine set up to cover all the courses resulting in lack of adequate preparation time—the above cited problems need a serious redressing. Unless we do that, computers in public schools will end up as nothing but a mere exercise of faddism. 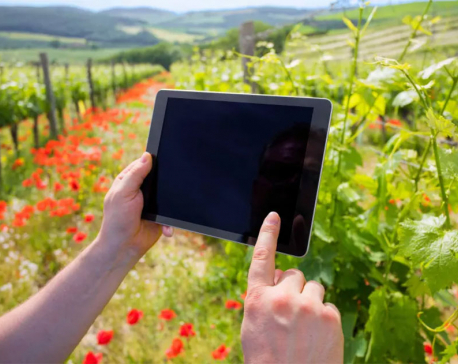 We would be doing nothing significant by focusing all our limited energy and resources on acquiring technology if we are not using it.